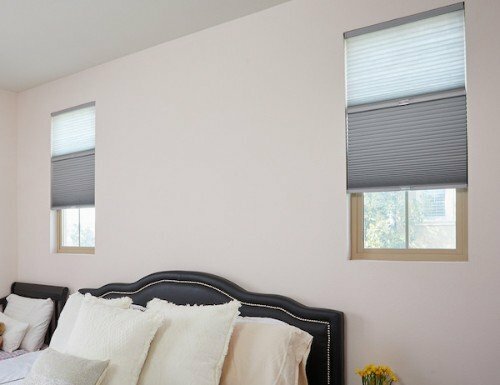 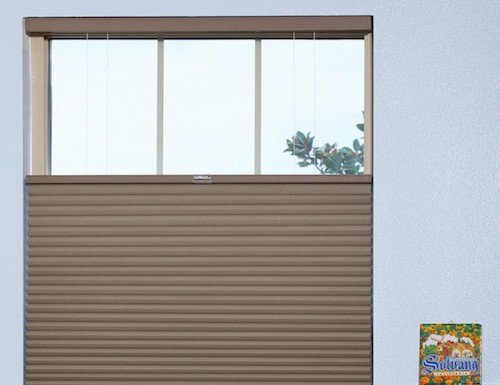 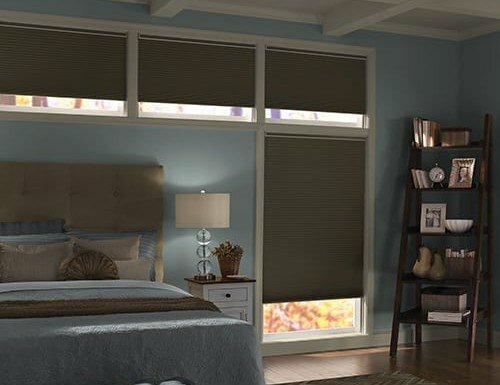 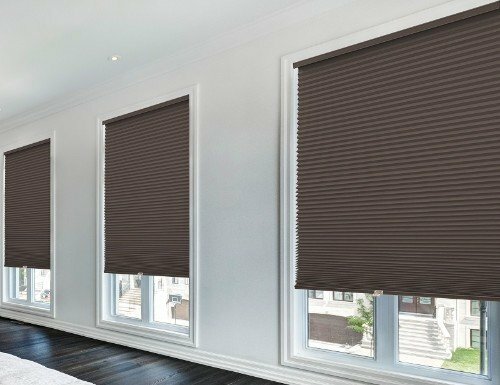 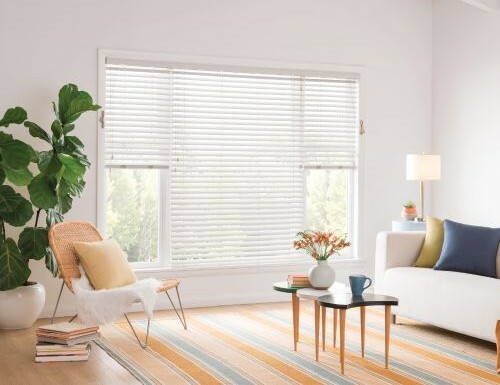 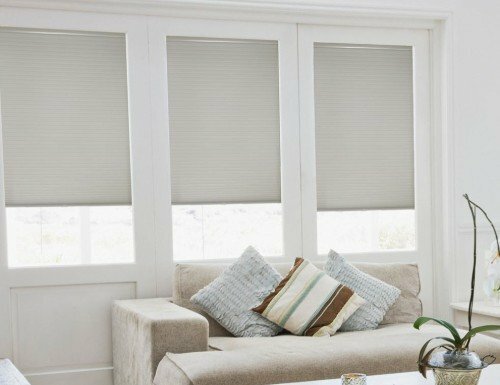 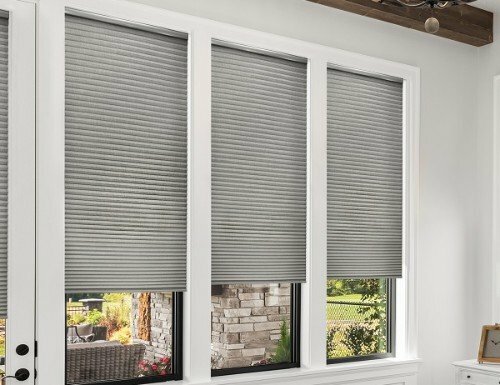 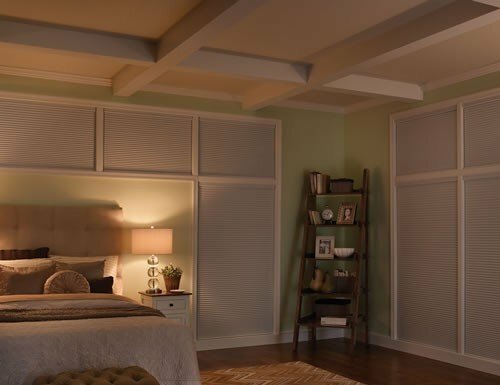 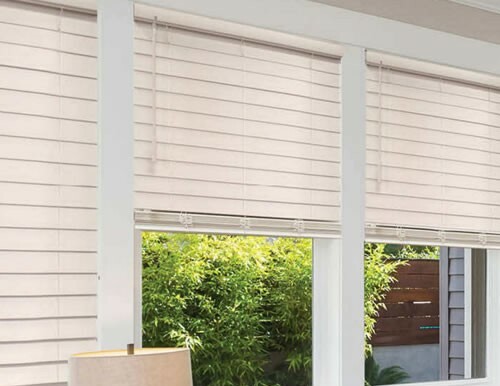 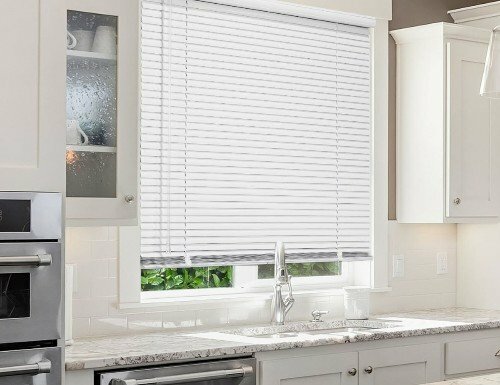 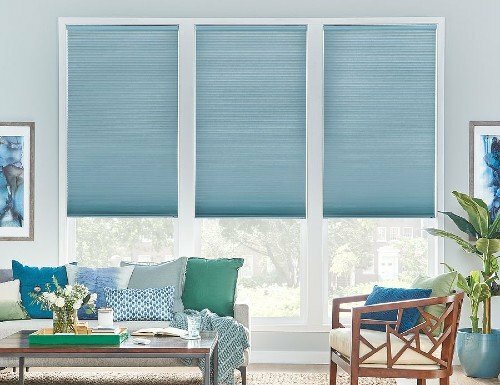 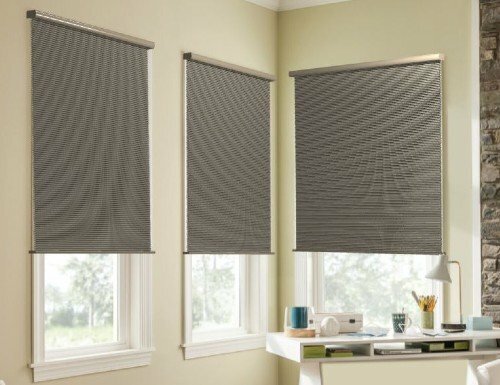 Shop our current promotions, sales and deals on honeycomb shades. 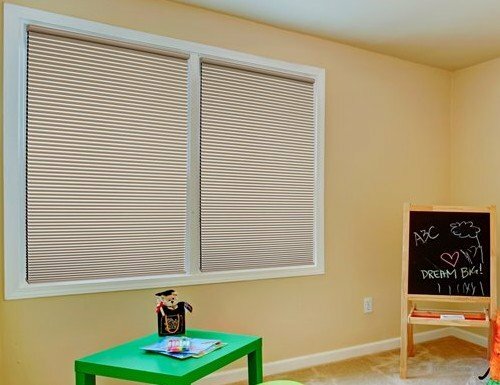 Ideal for smaller windows. 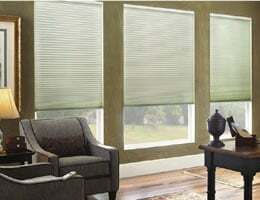 Pleat size refers to the size of the honeycomb within the fabric of the cell shades. 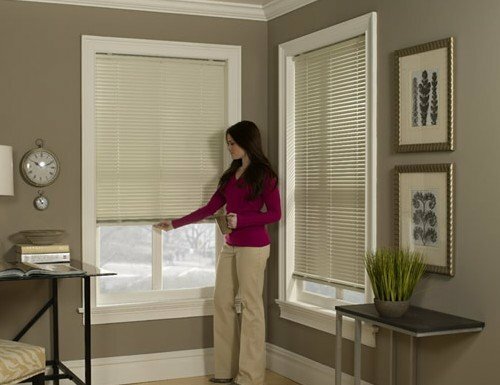 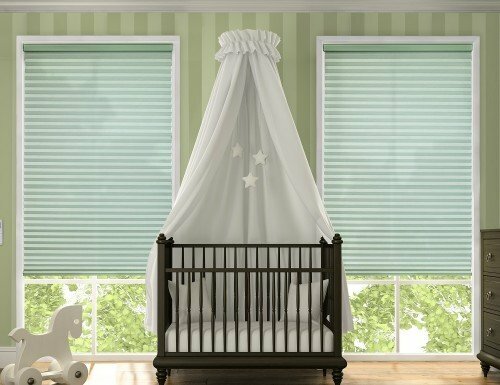 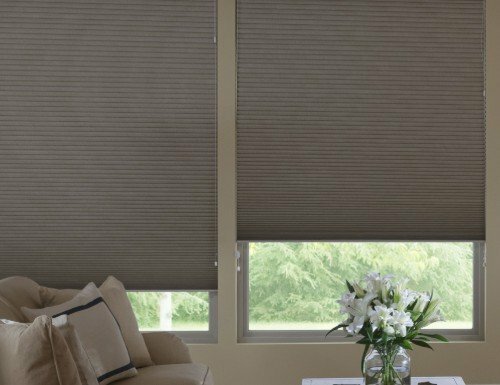 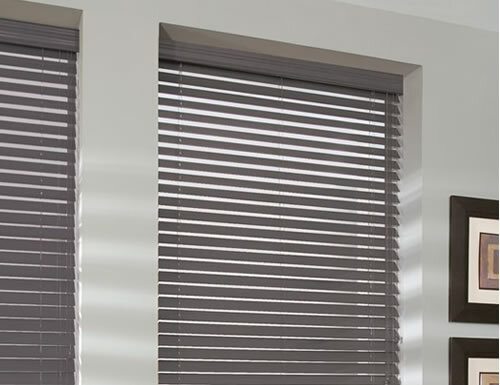 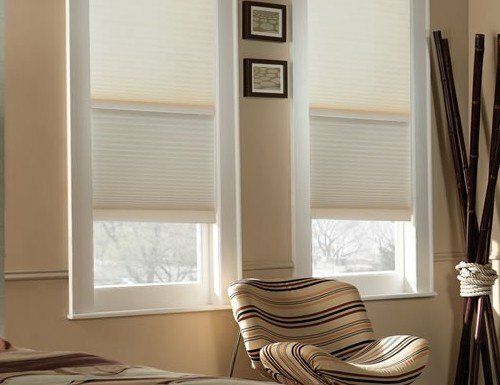 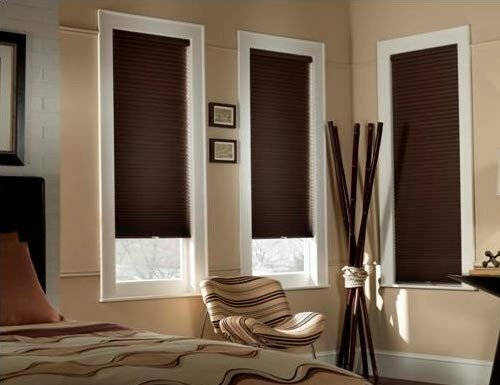 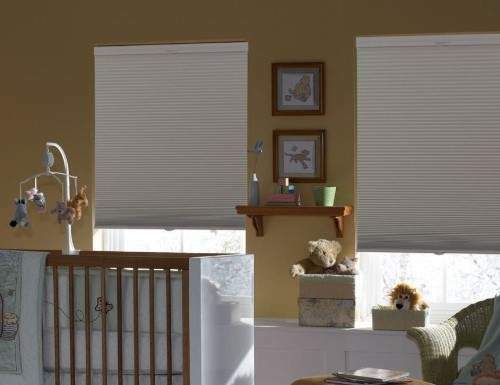 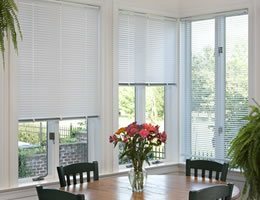 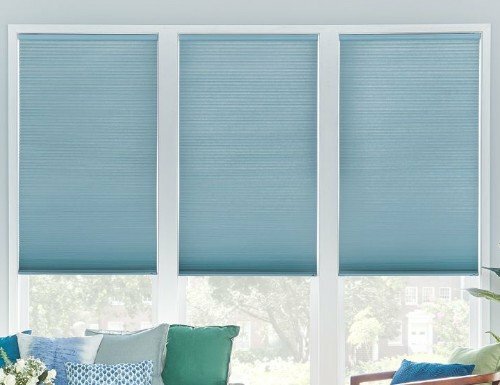 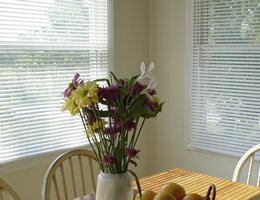 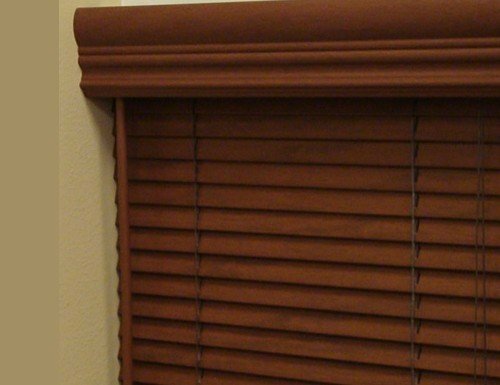 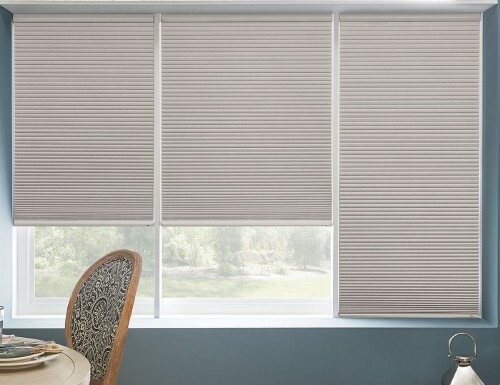 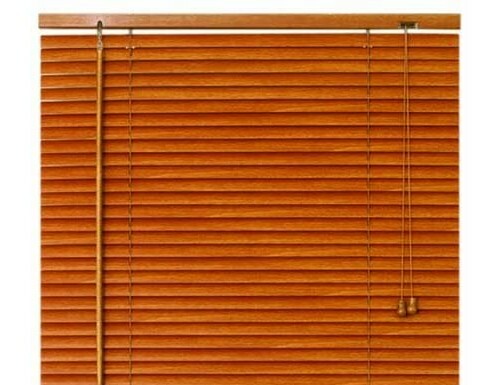 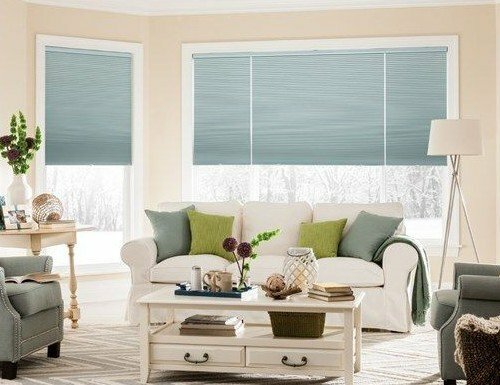 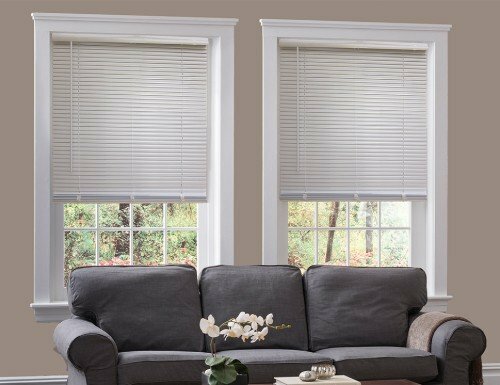 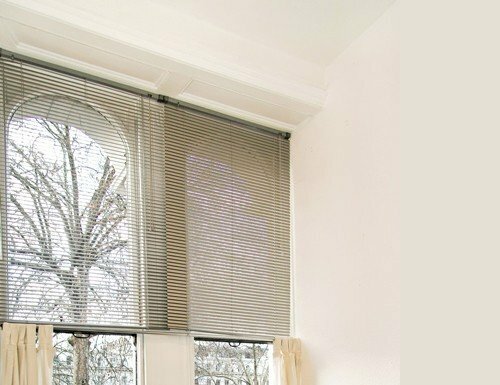 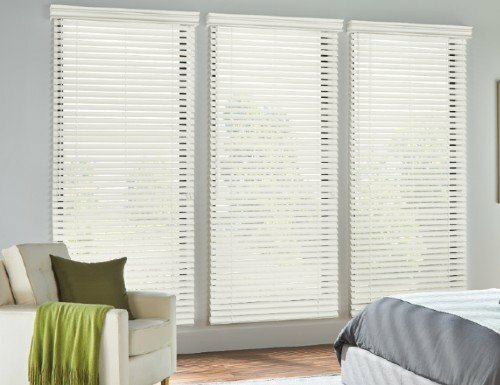 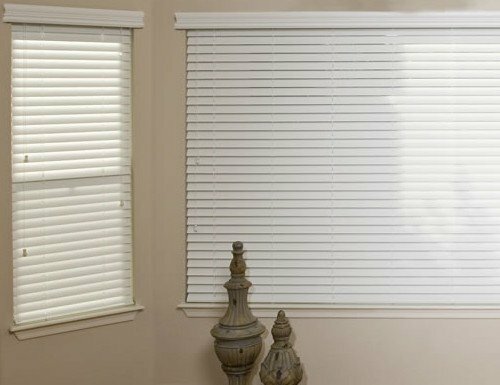 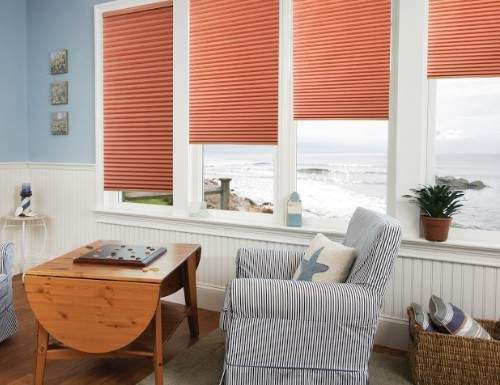 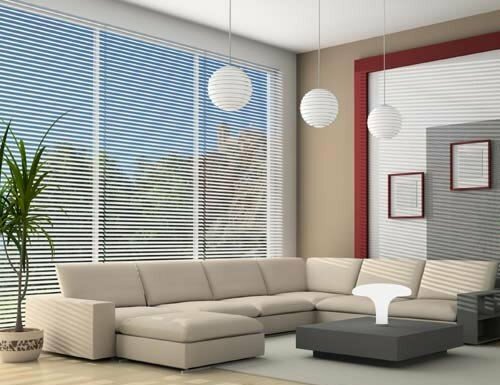 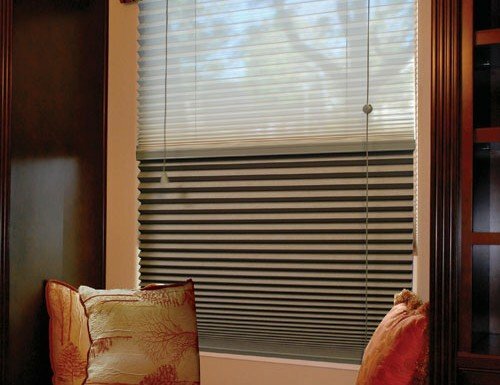 A smaller pleat size will have more creases, creating more horizontal lines within the shades. 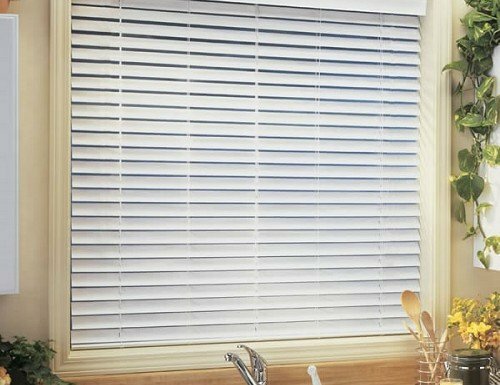 Ideal for just about any window. 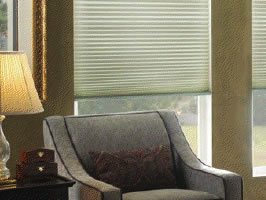 Pleat size refers to the size of the honeycomb within the fabric of the cell shades. 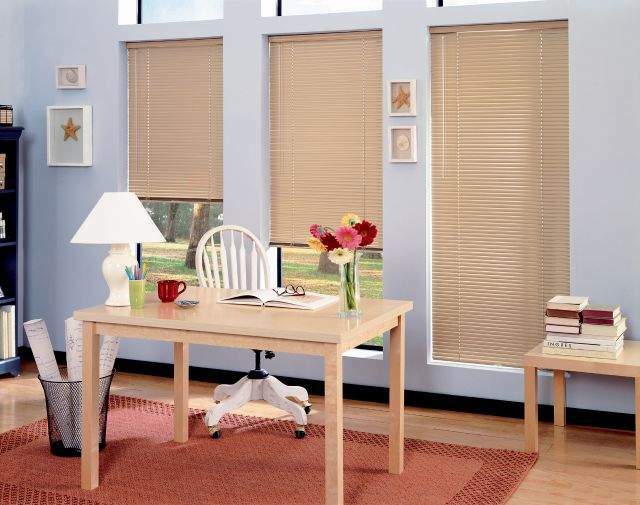 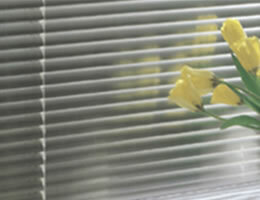 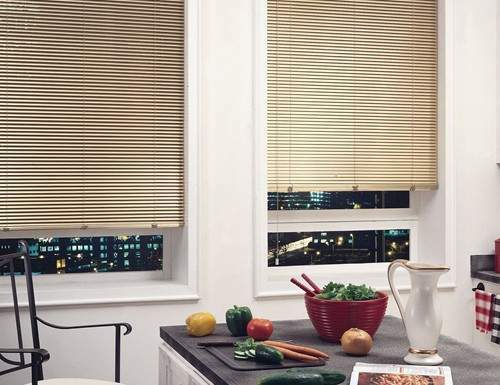 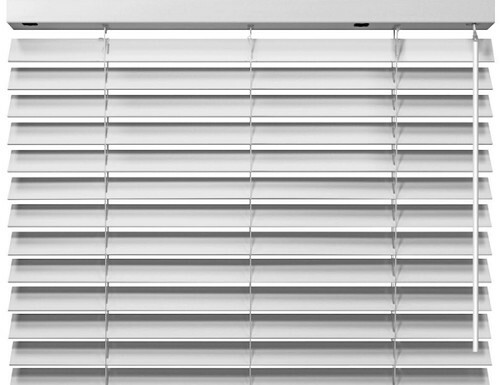 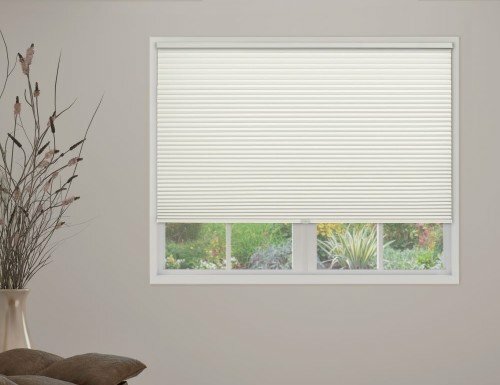 Smaller pleat sized cell shades are more busy on larger windows than larger pleat cell shades. 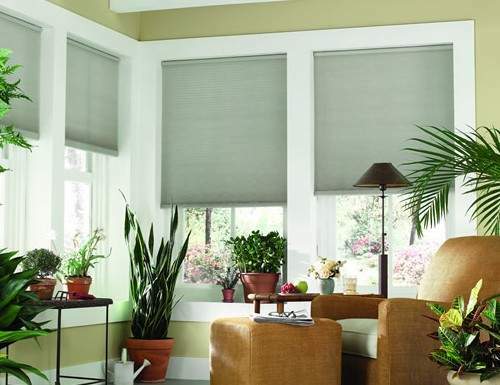 Energy saving shades Designed for maximum insulation. 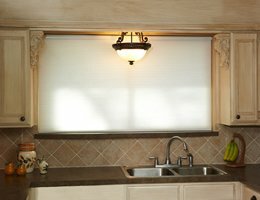 Cut energy bills with with this unique energy saving sidetrack system to block more heat loss/gain as well as light. 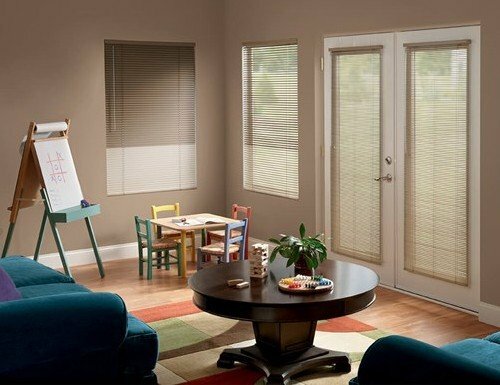 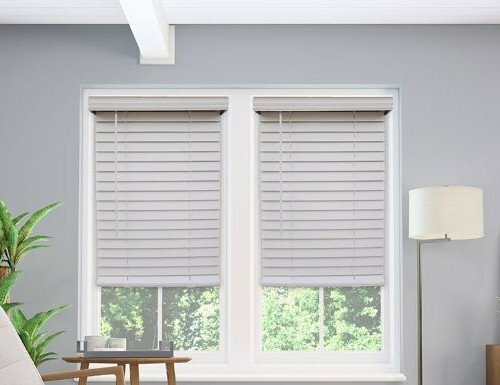 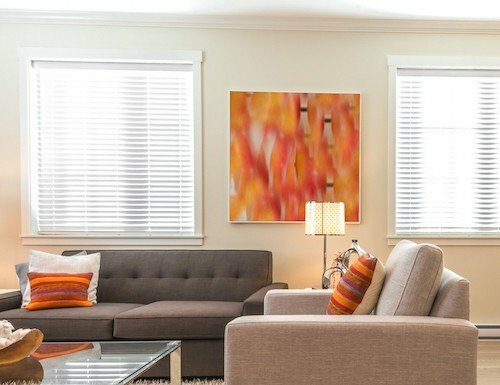 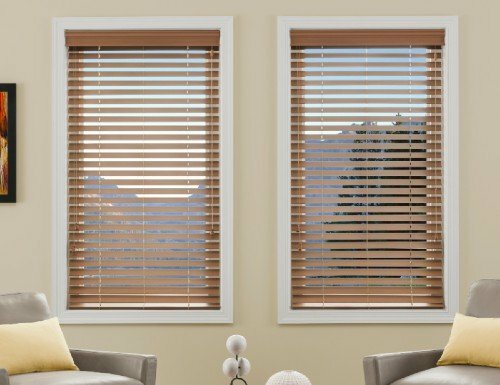 If you want to save money with your window coverings, the ComforTrack shade is it. 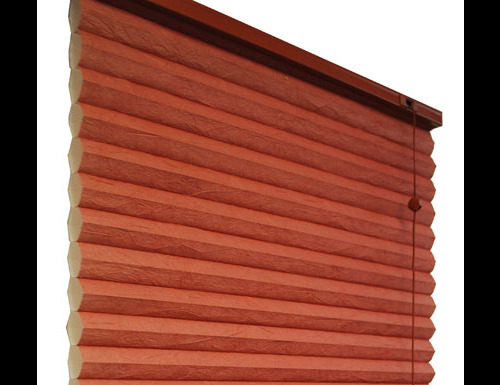 Built as two shades in one. 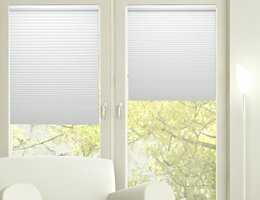 Both a privacy shade and a light filtering shade. 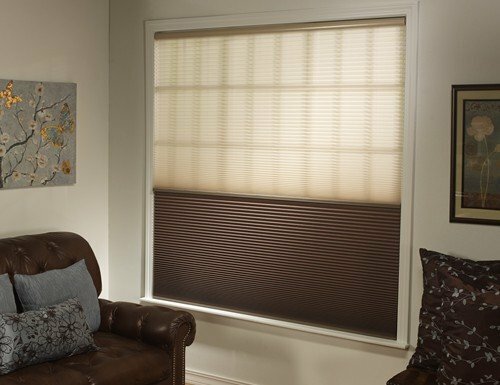 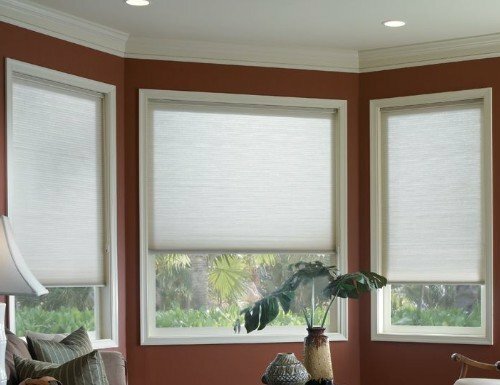 Choose both a sheer or translucent fabric shade as well as an additional blackout fabric shade for privacy. 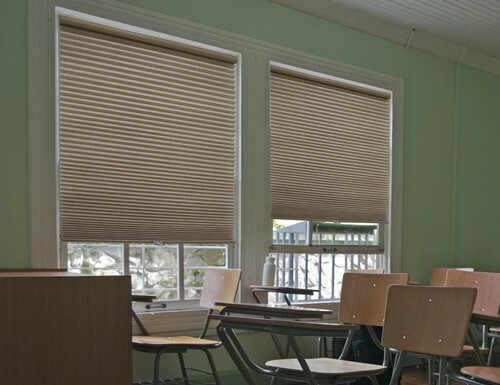 Fire retardant cellular shades have been tested by the NFPA for flame propagation. 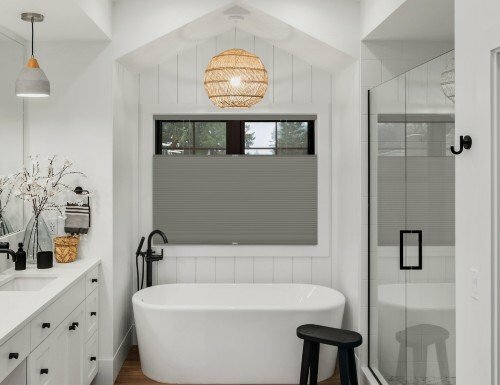 Bathrooms require frequent cleaning, and so cleanable surfaces are of paramount importance. 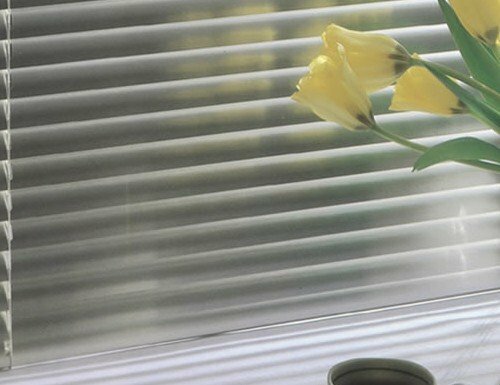 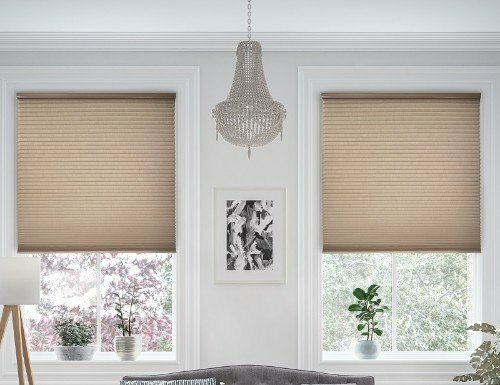 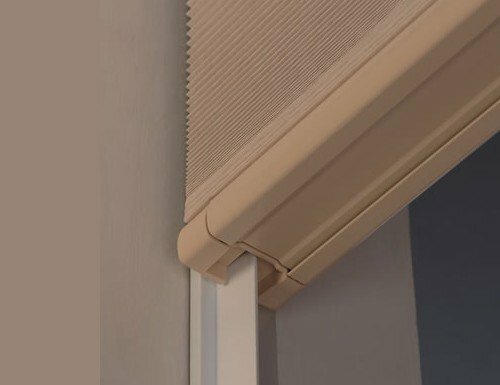 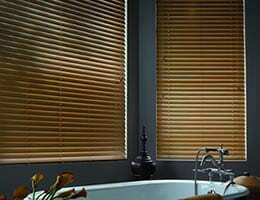 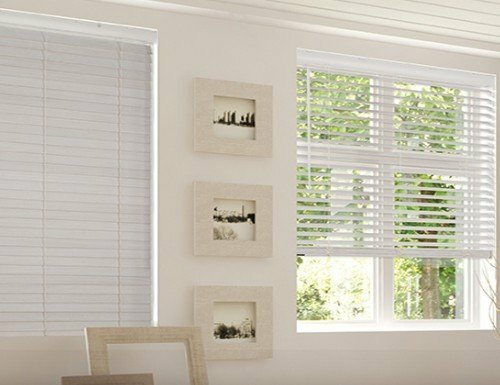 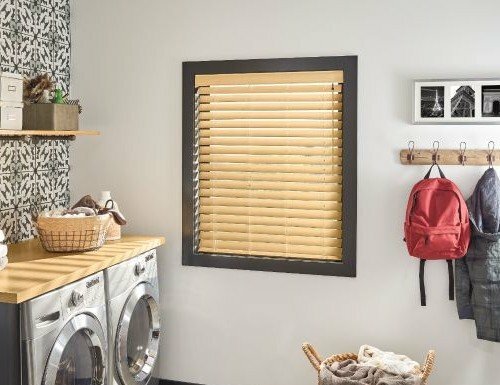 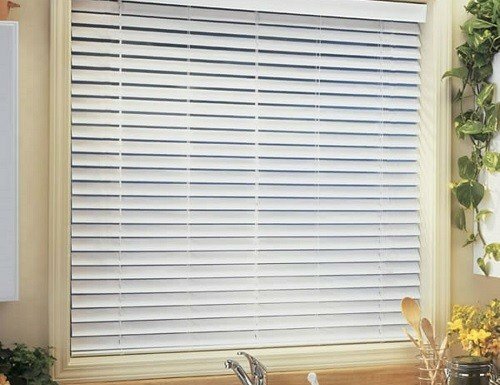 Even the most expensive, best quality of blinds that are suitable for other parts of your home can be wasted in the characteristically damp setting of a bathroom within a short time if they are not constituted of material that resists mildew and corrosion caused by humidity. 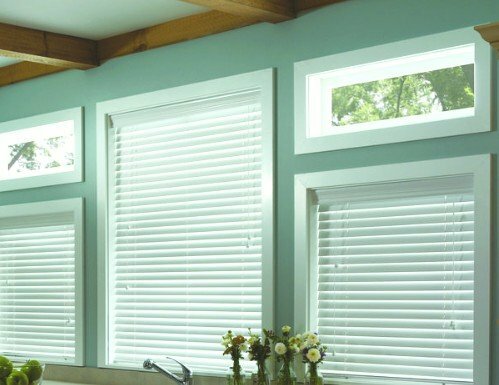 No one wants to invest in beautiful window coverings for their bathrooms, only to have cracked or warped blinds after a brief period. 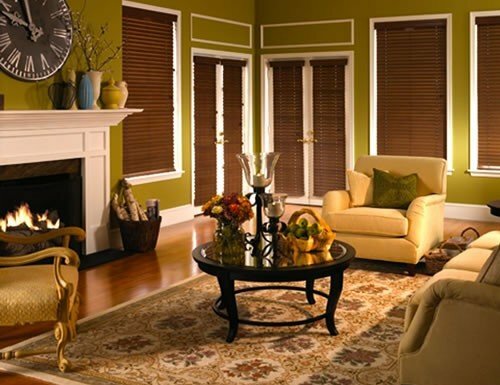 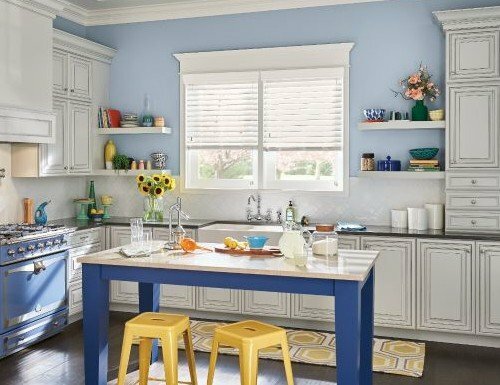 But style and quality do not have to be compromised—even in these high-moisture areas of your home.